20+ Years of Experienced sales in residential, commercial and farmland properties Excellent customer service in all areas of real estate sales Community leaders familiar with Milan and surrounding areas Debbie is past president of the Milan Chamber of Commerce and past president of the Milan Business & Professional Women. She is also active in the Central Association of Realtors serving on several committees and having served as President of the Association. 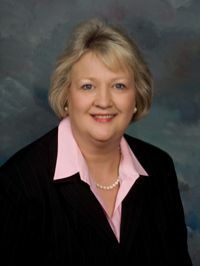 Debbie is a graduate of the Gibson County Leadership program Debbie is very education oriented--keeping pace with today's technology Debbie is able to offer you the most up to date information available in the real estate field.